Entries tagged with “Daily Maverick”. 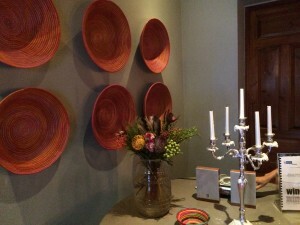 Restaurant Review: Palma on Bree Street authentic Italian family-run, but no passion! About ten days ago Orphanage Cocktail Emporium co-owner Katie Friedman introduced me to new eateries Mother’s Ruin Gin Bar and Palma in the next street block on Bree Street, being landlord to both. My experience of Palma on that evening differed vastly from that of our dinner last night. * Marthinus van Schalkwyk, Minister of Tourism for the past 10 years, has fallen off the list of Ministers and Deputy Ministers in the latest Cabinet list presented by President Jacob Zuma this weekend. Minister Derek Hanekom takes over as Minister of Tourism, with the same Deputy Minister. Many new Departments have been created. Print versus internet news: what is the future of reporting? 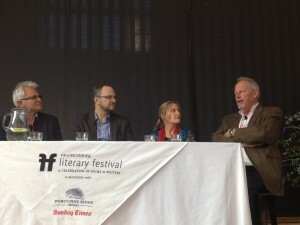 At the Franschhoek Literary Festival I attended a one-hour panel discussion on ‘It’s news to me’, with heavy-weight panelists weighted to print media, a well-attended session. Ironically the complete communication failure in Franschhoek yesterday meant that no one could Tweet or share via any other form of Social Media what the eminent panel had to say about press freedom. Ray Hartley was the panel chairman, and works in the Times Media Group, having previously been the editor of the Sunday Times. He resigned from the position, took a sabbatical, and now has a senior position in the Group. Much of the panel discussion focused on press freedom, ethics, and the depth of research of journalist’s stories, which were felt to be getting thinner on accuracy and content, much of the material of newspapers coming from Twitter and Reuters feeds. Hartley impressed with his humility and good chairing of the panel. He raised a laugh when he welcomed all the attendees who clearly didn’t get into the sold-out session addressed by Archbishop Tutu. The topic clearly was of interest, with the Franschhoek High School hall being full. Bitchy bashing of bloggers: response to Mail & Guardian! Food bloggers furiously re-Tweeted a link to a Mail & Guardian story on Friday, entitled rather meaninglessly “Going to the Blogs”, and posted angry comments on the newspaper’s site, yet no blogger has stood up to defend the reputation of bloggers attacked in the article! Not everyone in Cape Town was happy with the article, written by print journalist Mandy de Waal, who has no experience of and interest in the food/restaurant industry, and who appears to have been a once-a-month blogger, who last blogged a year ago on her two blogs MandydeWaal and MandyLives!com. De Waal is best known for her political and business stories that she writes for Mail & Guardian and the Daily Maverick blog. What she did not disclose in her article is that she is a friend of Rosanne Buchanan, editor of Food & Home Entertaining magazine. 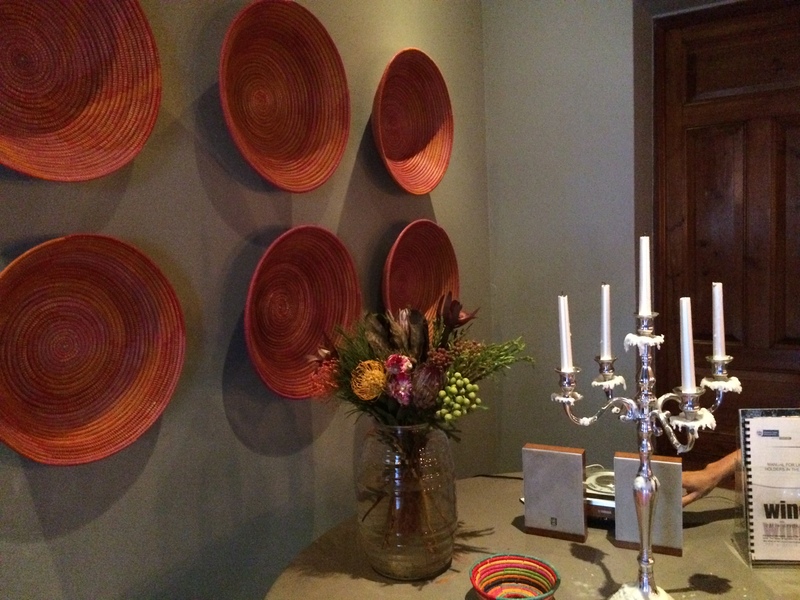 Clearly Buchanan was the inspiration for the article, in being quoted extensively, and she shared with De Waal her experience at a recent lunch to launch the new winter menu of Reuben’s at the One&Only Cape Town, which was attended by bloggers and print journalists. Surprisingly for a journalist, who should get a balanced view for the story she is writing, no print journalist other than Buchanan was interviewed by De Waal for the article! * “Bitter tension between established food writers and the new food media…” – This does not apply in South Africa, and obviously only is the point of view of Buchanan, who De Waal quotes (unnamed) as saying sneeringly (De Waal’s word) “I truly resent being lumped in with them. They are treated like the media but they have absolutely no ethics. Why are we giving voice to these freebie-mongers who cause such damage?”. What a loaded and discriminatory statement, obviously indicating that Buchanan’s publication could be under threat, and may go the same way as WINE magazine, which is closing down in September! * “Instant publishing and social networks dealt the industry (unnamed, but probably the publishing industry) a cruel, culling blow”. Any print publisher who did not see the growth and resultant threat of blogging and on-line publishing deserves the inevitable. * “Gourmet (magazine in the USA) brought epicure to the people – but only some people. Bloggers took it to everyone else, robbing food elitism of its elitism”– another loaded statement, and completely off the mark! The trend is far away from food elitism, given the recession. There is nothing to stop bloggers from writing at the same standard or better than their print colleagues. * “Perhaps it’s what bloggers write that’s so difficult to digest”, and she quotes an excerpt out of a Real Restaurant Revelations blog review of the Warwick’s tapas lunch Persian love cake – its inclusion in her article is not meant as a compliment to the blogger, one senses! * “To publish, bloggers only need a free meal, a computer and the will to write. Journalists have to contend with crabby editors, deadlines, ethics, research, a declining market and … miserable pay. Small wonder they’re annoyed at having to rub shoulders with bloggers at elite restaurant openings”! This statement reflects that Buchanan and De Waal have no idea what blogging is about. Most bloggers do not get their meals for free. Most have a day job, and blog for fun, sharing their passion for food and writing with their readers. They burn the midnight oil to stay up to date in publishing their posts. Most do not accept advertising on their blogs, so there is no financial benefit in it for them at all. * Buchanan magnanimously sees a role for bloggers only in posting ‘comments on food or publishing online recipes’. When De Waal called me and spoke broadly about Food Blogging, I had to explain to her that in my opinion a food blogger is predominantly a recipe writer, and I gave here some examples, such as Cooksister and Scrumptious blogs. What she was focussing on was Restaurant reviewing, and that is why her article included a reference to AA Gill. Clearly, Buchanan sees no role for bloggers as reviewers. * Buchanan continues: “But is their sudden and authoritative voice, which is too often vindictive or ingratiating, that has become an issue. Although I think everyone is entitled to an opinion, it is integrity and professionalism that is at stake”. She could not be further off the mark – it is print journalists that publish a photograph with a short write-up about a restaurant, supplied by the PR agency, and is never critical. Bloggers who write reviews with honesty, as they have experienced the restaurant, have far greater integrity than magazines do. Honesty in blog reviews shows up the bla bla freebie magazine write-ups. * Buchanan has a further blast at bloggers, saying her publication has been around for 20 years, and that bloggers cannot have her level of ‘understanding of the food industry’– Buchanan and De Waal clearly have no understanding that bloggers are not 18-year olds without a past, but are writers that have (or had) careers in and a passion for food. * Contentious is De Waal’s broad swipe at bloggers’ ethics (“Then there’s that trifle called the truth”), but more fairly does so too at ‘leisure journalism’. * “But some do rise above the sticky sweetness”, she writes, when restaurant reviewer JP Rossouw disparagingly refers to blogs that can be ‘playful and fun’, but ‘what is essentially candyfloss’! De Waal writes that Rossouw said that he started a blog nine years ago, but there was no blogging that long ago. He is quoted as arrogantly looking down on bloggers, in saying that he has stopped blogging because “I felt the ethics that bloggers were following were dubious. Bloggers love going to launches, restaurant openings and having free luxury experiences but, unlike experienced food journalists, who understand the industry, do significant research and are modulated by ethics and experience, blogging becomes much like ambulance-chasing”! Rossouw was hauled over the coals by bloggers for a controversial review he wrote about La Mouette last year, and changed his blog to a website thereafter, with registered screening of commenters. This may explain his disparagement of bloggers. * “In an ocean of quantity, only the few, the differentiated and the excellent will eventually rise to the top” is the closing sentence of the article. De Waal does not understand that this is not a race or a competition for bloggers. The only measurement bloggers have of their success is unique readership, but if they do not accept advertising then it is just an academic measure. Making the Top 10 in a category of the SA Blog awards would be another measure of success for some. * Fenner points a finger (or is it his knife?) at who only can be McKeon-McLoughlin when he says “There is definitely conflict with online media because certain bloggers see themselves as ‘Erin Brockovich’ types who want to be first with the scoop. There is this constant battle about who breaks the story first, and it can get catty and malicious”! * McKeon-McLoughlin refused to have her name mentioned in the article ‘if the blogger’s name appeared in this piece, or if an interview with the blogger was included in this article’, clearly a reference to myself, given her calls to PR agencies to tell them to not invite me to their functions, and her threat to them to not attend functions if I attend. De Waal describes her as a ‘former BBC journalist’, but this does not come up when one Googles her real name – she was a chat show hostess on Irish TV station RTÈ. She and her husband Eamon McLoughlin are part of the team driving the malicious Twitter campaign. A wine blogger put McKeon-McLoughlin in her place with a post he published in response to the article. While she claims to only write the truth, she is often cited by fellow bloggers as one who never declares her numerous free meals and bottles of wine on her blog! So, from the lengthy (and libellous) Mail & Guardian article we read the threat that Food & Home Entertaining faces of potential closure, and that Buchanan is an arrogant journalist who thinks that she is better than bloggers, whose work she probably has not read extensively, yet who may be readers of her magazine. There is less of an issue between print food journalists and bloggers, than there is amongst bloggers themselves, some of whom have become so arrogant that they think that they can stand in judgement of others, seeing themselves as being superior. It also demonstrates that journalists are not to be trusted in a telephonic interview, especially when the discussion has a hidden agenda, and the questioning is dreadfully vague, turning out to be a waste of time, when none of it was published. One wonders why De Waal allowed herself to be bullied by McKeon-McLoughlin, in not allowing my input to be quoted, given the reputation of independence of the newspaper that she writes for! It also indicates that the blogging community needs to collectively improve its image, if a respected writer such as De Waal can write such drivel about bloggers in such a respected newspaper! What De Waal does not reflect is that both new and traditional media have benefits for the restaurants that are reviewed – bloggers can write almost immediately, with an added benefit of posting comments and photographs whilst at the launch on Twitter, giving a new restaurant instant visibility, and it is therefore no surprise that most entries for restaurants on Google are from blogs, alongside listings on Eat Out and Food 24, and often achieve a higher Google ranking than the restaurant’s own website. Googling is the way the world finds its information. Traditional media has far better reach in terms of its audience size in readership, the average newer blogger not achieving more than 5000 – 10000 unique readers a month, but the magazine story takes three to four months to appear, its major disadvantage. Clearly PR agencies value the benefit of a balance of both new and traditional media to obtain coverage for their restaurant clients. POSTSCRIPT 20/7: Respected and long-established blogger Jeanne Horak-Druiff today posted her impressive response to the Mail & Guardian article.